Sketch Drawer 6.0 was available as a giveaway on November 29, 2018! How would you improve Sketch Drawer 6.0? I don't understand all the registration problems mentioned. I didn't even have to wait for an email from them -- as soon as I gave them just a little info, the activation code was right there. Nice little program. It's always fun to play with new arty programs! Thank you, GAOTD and SoftOrbits! Everything 'said' it installed correctly and "thank you for installing" but when I run the program it says '0' trial days remain and then closes.. They do not email you a key. If you do it right the key is displayed in your browsers window. meme, Read post #16 They do not email you a key. If you do it right the key is displayed in your browsers window. The user interface is simple and straight forward. It has a drag and drop option or you can navigate to an image using the add file or folder under "File" on the toolbar. 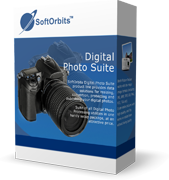 Features for using a photo are Add file, Add folder, Remove Selected, Remove All, Save, Save as, Print, File Information, Do, Undo, Zoom in, Zoom out, or Zoom normal, Painting, Crop, Rotate, Undo Brush, Image Correction and Options. Under options, the only thing there is language you use. That's it. After adding an image file you will see a preview pane located in the middle of the picture. To the right you will see a Toolbox. For tools you have Style (realistic, detailed sketch or classic) Under that is a Preset button with a dropdown menu that contains... Default, Schematic, Detailed Sketch and Light Brown. Below that there are 3 tabs labeled Contour, Hatching and Colorize with each tab having slide buttons except for the Colorize which only has checkboxes. Once you've selected all of what you want you picture to look like, simply click on the Run button to transform your picture into art. It was easy to use, fun and gives you a sense of being creative. I think you'll be amazed at what the results are. I certainly was. This program has a very low learning curve. You probably can just wing it on your own as the UI is self-explains itself. It's worth downloading, I think. And I did not once experience any crashing as others below have complained of. Haters will hate, I suppose. I think this program is a keeper so I can just toy around with pictures of people and or scenery. Okay, here's my feedback on this Sketch Drawer 6.0 1. Registration was simple and went without a hitch. (see how in post #16) The user interface is simple and straight forward. It has a drag and drop option or you can navigate to an image using the add file or folder under "File" on the toolbar. 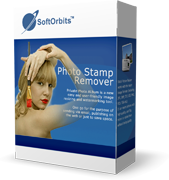 Features for using a photo are Add file, Add folder, Remove Selected, Remove All, Save, Save as, Print, File Information, Do, Undo, Zoom in, Zoom out, or Zoom normal, Painting, Crop, Rotate, Undo Brush, Image Correction and Options. Under options, the only thing there is language you use. That's it. After adding an image file you will see a preview pane located in the middle of the picture. To the right you will see a Toolbox. For tools you have Style (realistic, detailed sketch or classic) Under that is a Preset button with a dropdown menu that contains... Default, Schematic, Detailed Sketch and Light Brown. Below that there are 3 tabs labeled Contour, Hatching and Colorize with each tab having slide buttons except for the Colorize which only has checkboxes. Once you've selected all of what you want you picture to look like, simply click on the Run button to transform your picture into art. It was easy to use, fun and gives you a sense of being creative. I think you'll be amazed at what the results are. I certainly was. This program has a very low learning curve. You probably can just wing it on your own as the UI is self-explains itself. It's worth downloading, I think. And I did not once experience any crashing as others below have complained of. Haters will hate, I suppose. I think this program is a keeper so I can just toy around with pictures of people and or scenery. They seem to have mislabelled a couple of sliders. The one for stroke length seems to thicken the lines and visa versa. It also crashes often when trying different settings after a "Run". LoL at those waiting for activation key. Copy and paste this key into notepad and save it along with the other info you used i.e. name, country and email you used. LoL at those waiting for activation key. Here's what you do. Install the program License key window will pop up Click "Get free activation key button at bottom (button pulsates blue) Next window opens up in your default chosen browser Enter email addy click "Request Full Version Key" button (green) Next page you will fill in your name and country you live in Click "Done. 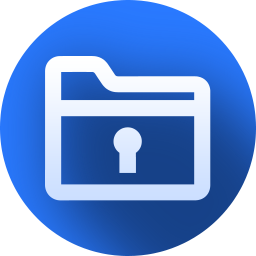 Continue" button (blue) Next window opens up and you will the see your key just below where it says this: Step 3: Show license key Copy and paste this key into notepad and save it along with the other info you used i.e. name, country and email you used. I played around with this for about a half hour, trying all kinds of settings. I was never able to get even a half decent "sketch" out of it. So, I went and tried Fotosketcher, as recommended by several below. For me, Fotosketcher was much, much better and easier to use. I might be doing something wrong, but I tried for a long time and it is not my first rodeo. I have the same problem as Charles, tried to get the activation key about two hours ago, repeated again but no email until now. I entered the key and registered successfully with confirmation message. 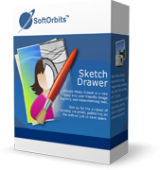 Then, I finally got "Sketch Drawer - Giveaway of the day - ****Unregistered version - 10 trial days remain****" on top of the Window!!! This version 6 did deactivate version 5 from another free d/l site and a way old Sketch Drawer I never uninstalled. Used programs' built in uninstall to remove them. Oddly Revo uninstaller only showed the version 6. Didn't bother to try other uninstallers. Have had earlier versions work ok on Windows 10 x64 Pro. Same with this drop & drag one. License right away using a Yahoo acct. Worth a poke for casual use like if need this for a photo to sketch output. Personally I still like to sketch from a projected image onto canvas rather than use such 'mechanical' interpretation, but now & then this method can come in handy. Thanks GOTD. This version 6 did deactivate version 5 from another free d/l site and a way old Sketch Drawer I never uninstalled. Used programs' built in uninstall to remove them. Oddly Revo uninstaller only showed the version 6. Didn't bother to try other uninstallers. Have had earlier versions work ok on Windows 10 x64 Pro. Same with this drop & drag one. License right away using a Yahoo acct. Worth a poke for casual use like if need this for a photo to sketch output. Personally I still like to sketch from a projected image onto canvas rather than use such 'mechanical' interpretation, but now & then this method can come in handy. Thanks GOTD. I already had version 5.1, opened this up first and was greeted with a purchase v6 window, so getting v6 for free today, brilliant. V5 didn't like opening my .Nef raw files, it wasn't probably designed to work with these, often crashing out, fair enough. V6, however seems not to mind these files, stable, didn't crash. Not sure v6 is supposed to work on Raw files, but it did, most of my images are in raw format, so happy days, I have yet to try it on Jpegs. After a little play around with settings, you can get some descent artistic conversions. Worth a try? I think so, works with all the usual formats, Jpeg, Tif etc. Win10 64 bit, installed no problem, registration process simple and reliable as it should always be, if only all soft wares were as easy to install and register. A good program for any wanna-be artists --- also actual artists. Fun to use. Had it for a while. Thumbs up from me. Charles, the key should be displayed on the same page where you registered on, you only need to complete your profile. No email will be sent, if that was what you were waiting for. To activate your new account please click on the activation link which we have just sent to your email address (and then your email address). But no email yet. Chasm, When you click on "Get free activation key upon first opening the software if takes you to a page to enter your email address. And then once entered and clicked on it takes you to a page which says, "Activate account - Please check your emails now To activate your new account please click on the activation link which we have just sent to your email address (and then your email address). But no email yet. Chasm, I did it again and now it worked. Didn't work the first time. Thanks. BCE, ah, so the problem was the activation mail. It's pretty much a one time thing, once you received the activation mail, activated your account, you will always only have to complete the remaining fields of your profile matching your email address and get the key immediately. I always used the same email address in the past, so "they knew me already" and i didn't have to activate the account first, since i already did that in one of the previous giveaways. But glad it worked out for you in the end. Every year or two we have this as GOTD, what's in today version vs. the older ones? afik, only 2 months ago we got PictureToPainting from softorbis. Why not combine the two for full program? afik, only 2 months ago we got PictureToPainting from softorbis. Why not combine the two for full program? Installed on Windows 10, 64bit. Works GREAT! Tried it with several pictures and all worked! Thanks for this program! What fun! ericN, Wow, that's a great suggestion! The painting results with FotoSketcher (browsing their gallery) are great! except for the pencil and ink effects, those ones really look artificial/digital. Sorry, I should have added it overwrote V5 I had previously installed, saved me uninstalling it. Then tell us what you think about this program. Do you like it, did it do what you wanted? Gordon, Then tell us what you think about this program. Do you like it, did it do what you wanted?